Oil-Electric: Curious Case of Number 22 - Solved! Curious Case of Number 22 - Solved! The solution was found in the September 1960 Trains magazine. 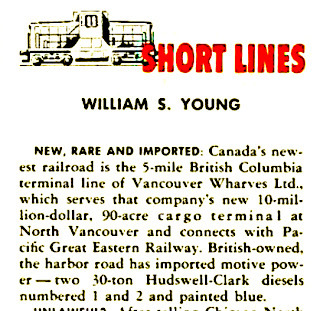 I've spent several hours trying to definitively connect Samuel Williams & Sons to Vancouver Wharves. As Mr. Young reports, "British owned, the harbor road has imported motive power ..."
But he does not identify the British owner. 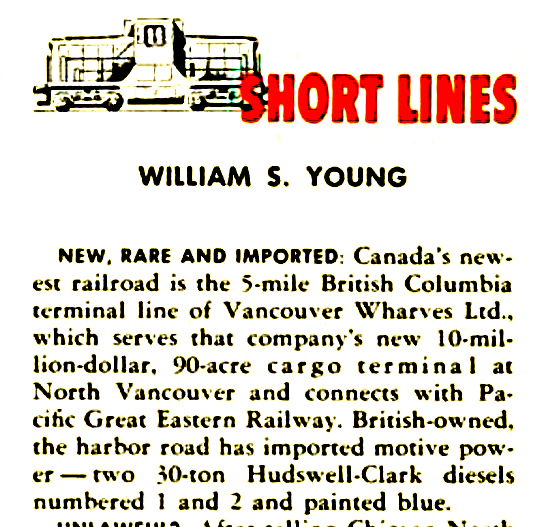 Vancouver Wharves opened for business on September 4, 1959. 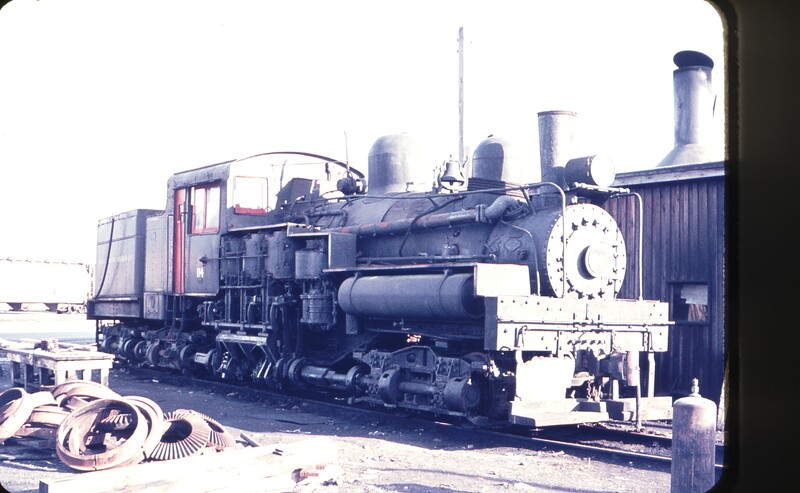 In addition to the two Hudswell's, the operator employed a Shay locomotive for several years. 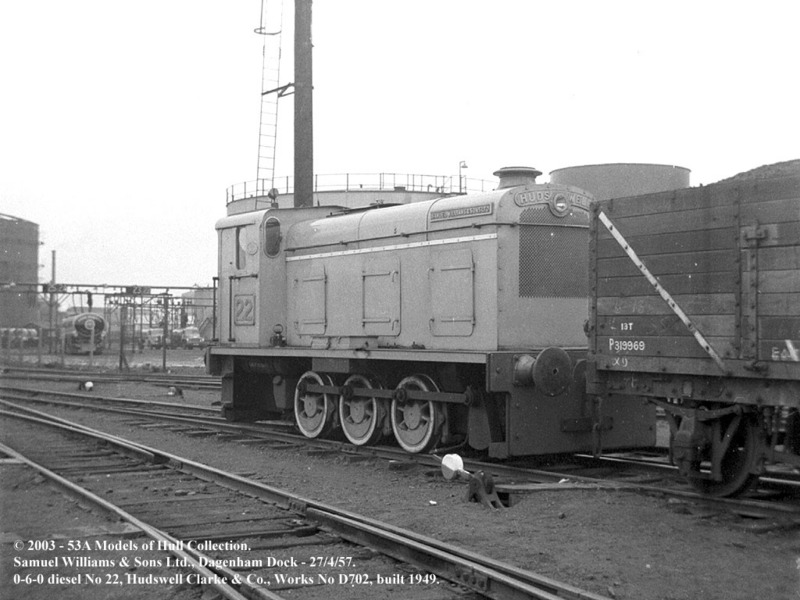 Here is Number 22 working at Dagenham Dock before moving to the Colonies! 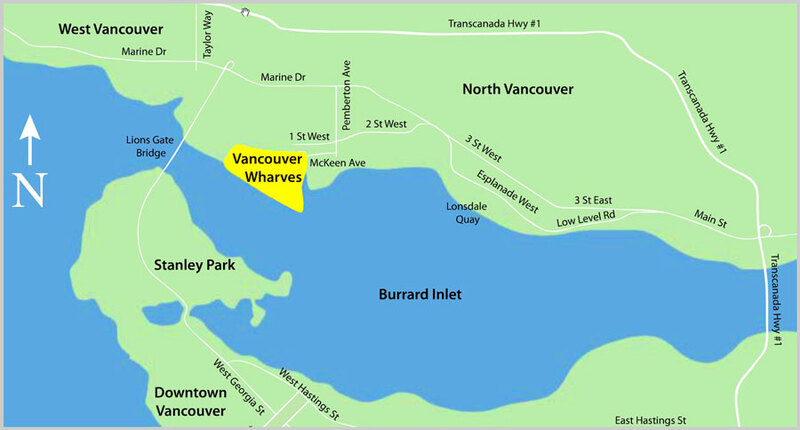 I should know all this, because my modelling efforts are contained in the Vancouver Wharves Layout. I use this as a generic term, largely as I did the Winnipeg Terminals in the layout's previous incarnation. But as someone reminded me, Vancouver Wharves also refers to the operation you're describing here. There's also no doubt that older Trains magazines contained a wealth of information and research on so many small, interesting operations that are disappearing today. Found your article by back-tracking the referrals coming in to www.andrewbriddonlocos.co.uk. The Hudswell Clarke 0-6-0DMs are typical HC manufacture and include a "SSS" powershift gearbox and a Gardner engine with Vulcan Sinclair fluid coupling. The "folk lore" is that the Works Manager refused to let their internal combustion locos leave the works without "looking like a proper loco" and hence the steam loco chimneys fitted until well into the 1950s. What I think what you identify as a "Power Take off" on the pictures of D553 is actually where you would put the starting handle as electric starting on such locos would be an optional extra, if offered at all. I have actually driven that loco - noise, comfort and visibility left a lot to be desired! 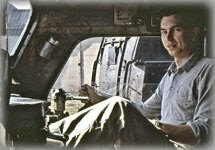 Finally, you seem surprised that 21 and 22 arrived on your side of the pond without AAR couplers. The answer is simple - they would be far more readily available there than over here! Much easier/cheaper to do the neccessary alterations and send the locos out for installing (secondhand?) coupler assemblies on arrival. Note also the lifting provision added to the inside faces of the headstocks.